Great hotel, nice and clean with friendly staff and good reasonable food. 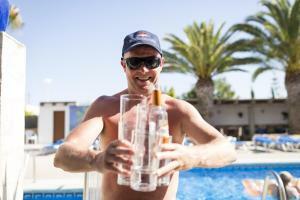 Excellent staff and location within Ibiza. very clean room also. Overall fantastic stay at Apartments Zodiac. What did you like about the property? Food was nice, cheap, drinks were cold, owners were lovely. Clean pool, clean room. Communication with staff before arrival was excellent. My daughter and friend arrived at 1 am and I felt they were safe because there was someone in reception waiting for them. 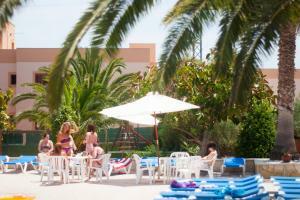 They enjoyed the facilities and location and staff were friendly. It was really clean. Excellent decor and well maintained. Owner, his family and staff were brilliant. 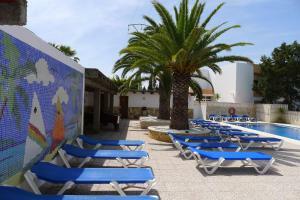 The rooms were spotless, location fab, staff were excellent. A group of 14 girls all had an amazing time, the staff were friendly and helpful, prices good and food was amazing. We spent quite a bit of time in the hotel and had most meals in the hotel due to the good quality and very reasonable prices. I would highly recommend and will be looking to return soon. The staff is kind and efficient. The residence has a bar/restaurant and a nice swimming pool (a little small, but it worked perfectly for us) with deck chairs. The residence is conveniently located and there's a bus stop right in front of it (although, if you want to fully enjoy the island I suggest you should rent a car). The studio apartment was nice and clean and it was fully equipped. 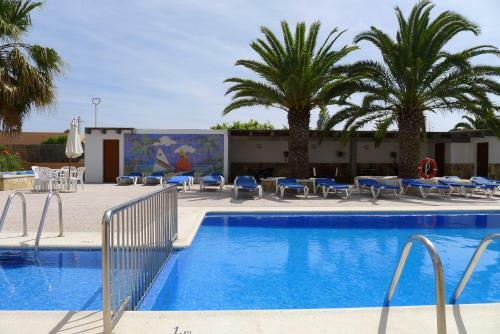 Lock in a great price for Apartamentos Zodiac – rated 8.5 by recent guests! 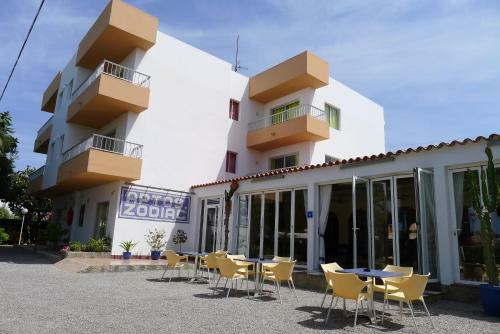 Zodiac Apartments are set in Ibiza’s San Antonio Bay, a short walk from the beach. Surrounded by gardens, the complex has an outdoor swimming pool with loungers. Free WiFi is available throughout the property. These family-run apartments are a 25-minute walk from the center of San Antonio. The Pinet bus stop, located close to the apartments, provides easy connections to the center and to beaches. Ferry services connect the town to other beaches on the island. Each Zodiac Apartment has a private balcony or terrace. 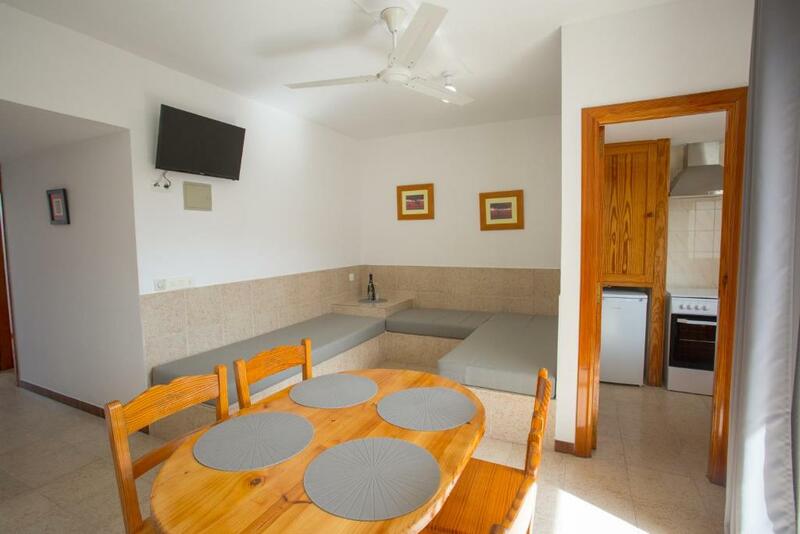 They have a well-equipped kitchen area with an oven, kettle, toaster and fridge. Apartments also have a fan and a safety deposit box for an extra cost. A hairdryer and iron are free on request. The Zodiac complex has a restaurant and a bar. There is also a 24-hour reception desk. Free public parking is available opposite the apartments. This studio has 2 single beds, a bathroom, a fully equipped kitchenette and a dining area. This apartment has a twin bedroom, a separate living room with a sofa bed, and a kitchenette. There is a balcony overlooking the gardens. Newly refurbished two bedroom apartment, spacious and bright is ideal for families and larger groups. 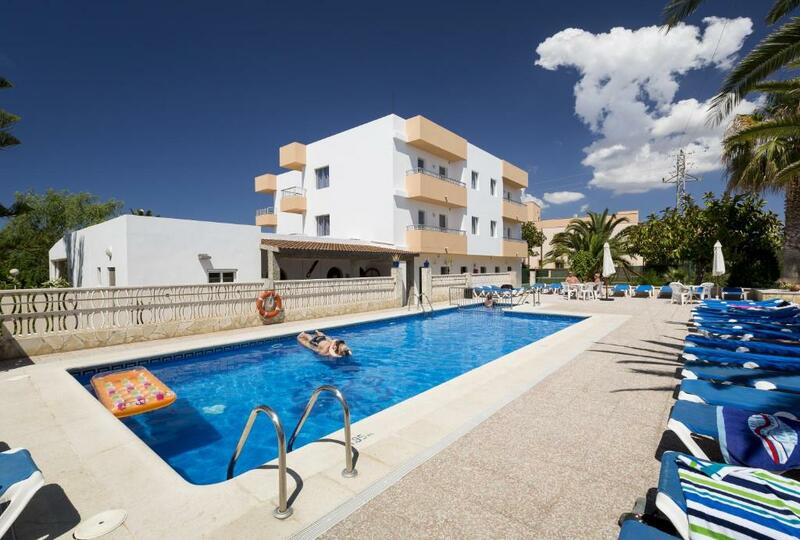 Kitchen facilities, large living room and two balconies, one overlooking the swimming pool. Ambiente relajado y familiar ideal para desconectar en sus vacaciones. Pinet Playa y Playa Bella estan a solo 10 minutos a pie, la parada de autobus para otras playas como Cala Conta y Cala Bassa se encuentra a 5 minutos. La zona cuenta con bares, restaurantes y supermercados accesibles a pie y de precios asequibles. Please note that the apartments are cleaned twice a week. One of these cleans includes a change of bed linen and towels, and the other includes change of towels. Guests with reduced mobility should contact Apartamentos Zodiac in advance using the Special Request box when booking or contact the property. What didn’t you like? The night porter was rude again. Didn’t spoil my stay as I ignored him but he was rude last year when I stayed as well. His attitude needs to change. Located not so close to the beach not to the town.. better to have a car to benefit from this location.. The pricing for the one bed room apartment was a little higher than what my friends had to pay for a 2bhk in San anotonio . The pool loungers bit uncomfortable no way to change bed angle you could only lie flat. Everything what we expected and more. In August it's a little difficult to park in the surroundings of the residence at night. The studio apartment we stayed in didn't have air conditioning but only a ceiling fan, so it was quite hot and that made sleeping a little difficult. Friendly, comfortable and good value.